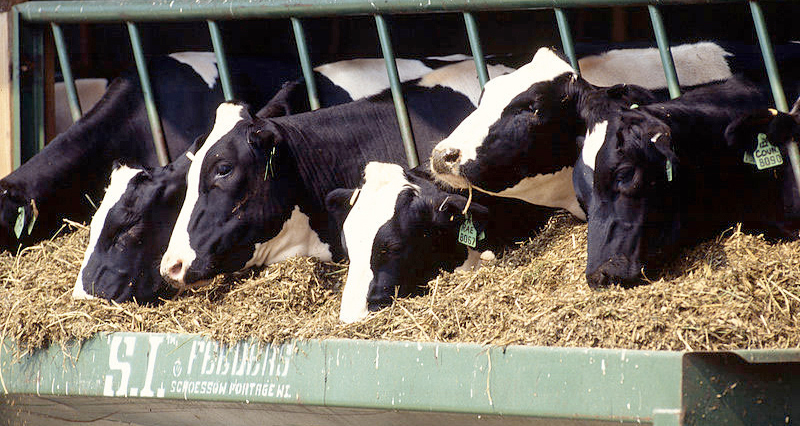 Farmers are urged to reconsider feeding systems and look at margin not yield as recent research suggests forage based dairy systems, which balance high milk output with the maximum use of forage, can be the sustainable ideal according to dairy consultants Andersons. In a study(1) commissioned by leading fertilizer company Yara, Andersons’ Friesian Farm model, a notional 150-cow Midlands dairy with year-round calving, confirmed that whilst milk from grazed grass is the cheapest/litre, a forage based system, using good quality conserved forage, can be the most profitable alternative. The results show that, whilst the concentrate based model produced the highest yields, they are expensive to achieve with a cost of production of 28.6ppl (£3,988/ha) and, at current milk prices (and adding in BPS and ELS support payments) leave a negative business surplus of -0.9ppl (-£122/ha). Comparatively, the grazing based system – with less feed, labour, machinery, lower replacement and housing costs - had the lowest cost of production at 25.7ppl (£2,503) with a business surplus of 3.1ppl (£302/ha). The forage based model, which is still quite intensive but with good quality conserved forage substituted for concentrate feed, had a slightly lower milk yield but the lower cost of production (26.83ppl/ £3,220/ha) led to a business surplus of 1.1ppl (£126/ha). This approach was adopted by the winner of the Yara Grass Prix, David Murphy, who achieved a grass value of £2,281/ha having spent £185 on fertilizer. The competition, in which leading beef and dairy farmers compete to achieve the highest energy yield averaged over their first two silage cuts gives grass a financial value by comparing it to buying in the same amount of ME in compound feeds and has shown that the greater the yield from forage, the more profitable a system can be. “Both the Anderson Report and the Grass Prix confirm that the key to a successful forage based system is to grow good quality grass, and it is easier to achieve than you think,” says Jez Wardman, Agronomist at Yara UK.